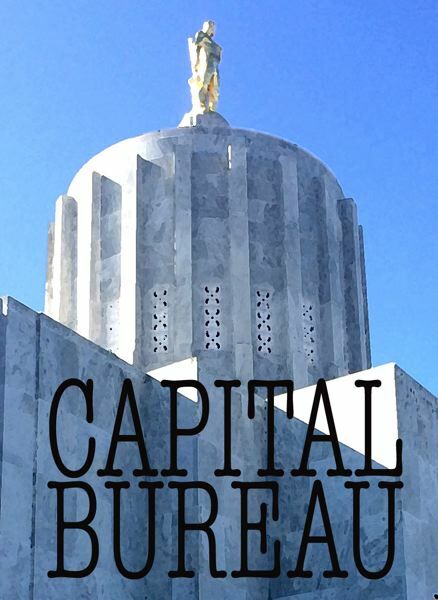 SALEM  Oregon is considering proposals by four companies to provide a new software platform for the states health insurance marketplace. Oregon insurers can continue to use the federal insurance exchange free of charge through the end of this year but in 2017, the U.S. Department of Health and Human Services plans to begin charging insurance companies a fee of 1.5 percent of premiums in order to use the federal platform in Oregon. The rate could still increase in future years to the federal governments original proposal of 3 percent of premiums, according to Lisa Morawski, public information and communications director for the Oregon Department of Consumer and Business Services which handles the states insurance exchange. On Monday, however, Morawski said the state will not rush to decide whether to make another attempt at launching its own state insurance exchange. Were going to be on healthcare.gov for sure for 2017, Morawski said. The state also charges insurers a monthly fee of $9.66 per insurance plan member, although the state has proposed lowering the fee to $6 next year because employees expect higher enrollment will continue to raise more money than anticipated. The state uses the money to pay for everything from publicity for the insurance exchange, to technology services and legal costs, according to a document from the Department of Consumer and Business Services. Four technology companies submitted proposals to provide the platform for Oregons exchange by the deadline of noon Friday.  hCentive worked on insurance marketplaces for Arkansas, Massachusetts, Colorado, New York and the federal government, according to the companys website.  Vimo Inc., which does business as GetInsured, worked on insurance exchanges in California, New Mexico, Idaho and Mississippi, according to the companys website.  Softheon Inc. also worked on the Massachusetts exchange, according to company CEO Eugene Sayan and Michael Hendershop, the companys business development director for state and federal operations.  It was not clear whether the fourth company that responded to the request for proposals, New Fields Technologies LLC, had worked on other state health insurance exchanges. The Department of Consumer and Business Services declined to release a copy of the proposals until after the agency issues a notice of intent to award a contract and allows a window of time for the companies to protest the decision. State contracting employees at the Department of Administrative Services are reviewing the proposals to make sure they met the minimum requirements, and the companies will present their proposals to an evaluation committee in late March through early April, according to a timeline from the Department of Consumer and Business Services. There is no deadline for the director of the Department of Consumer and Business Services to decide whether to stick with the federal exchange or go with one of the vendors, Morawski said. In that case, the director of the Department of Consumer and Business Services could ask lawmakers for approval in September. The Department of Consumer and Business Services will consult with lawmakers and a newly formed Health Insurance Exchange Advisory Committee before deciding whether to stick with the federal exchange platform or contract for a new state exchange, Morawski wrote in an email.